When Is An Order Of Protection A Viable Option in Missouri? In 2012, alone, there were 41,494 reported incidents of domestic violence in Missouri according to the Missouri State Highway Patrol. In today’s blog we examine the use of an Adult Order of Protection as a tool against the perpetuation of domestic violence. Domestic violence has reached epidemic proportions in the United States, and often a lack of knowledge of potential tools available to victims and real or perceived economic issues often impact whether assistance is sought and whether parties remain in an abusive relationship. Through the Missouri court system, one of the tools available to help prevent future acts of domestic violence is the use of an adult order of protection. Our statutes grant our Missouri judges the ability to enter an order of protection which can, among other powers, order that one party not enter into the residence where the moving party resides, to not commit acts of domestic violence including: threatening domestic violence and stalking or disturbing the peace of the moving party, wherever that person may be found. The order can also deny one party from having any contact with or communicating with the other party in any manner. The term domestic violence is not just limited to physical contact, it also includes threats, harassment and stalking, among other conduct. 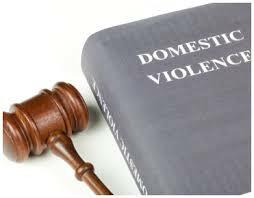 However, in order to qualify for this relief you must be a present or former family or household member of the person who has committed the acts of domestic violence, or you must have been a victim of stalking. In order to prove that you have been a victim of stalking you will need to be able to demonstrate two or more related incidents of an unwanted course conduct that causes alarm to you and that it is reasonable to have been alarmed by the conduct. To apply for an adult abuse order of protection you must complete a petition in the office of the circuit clerk where either you reside, where the other side can be served or where the abusive conduct took place. The petition is most commonly a form to be completed by the moving party stating the grounds for the order of protection and requesting specific relief from the judge. Further, this is typically without cost. 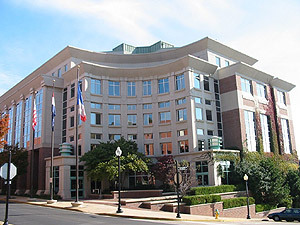 When a petition is completed, the court may immediately issue a temporary order (ex-parte order of protection) granting you the relief previously described. This temporary order is valid until a court date when a hearing/trial is set and evidence is heard to determine if a full order of protection should be granted. After reviewing the original petition, the court also has the option of not granting an ex-parte order of protection and simply setting the matter for a contested hearing. At this hearing the judge will accept evidence to determine if there is a sufficient basis for a full order of protection. A full order of protection may be granted for up to 12 months, with the possibility of extension upon proper application. The preceding is a general explanation of the requirements for an order of protection, the relief that can be granted through an order of protection and the procedure of the application process. While hiring a qualified Missouri family law attorney is not required to persue an adult abuse order of protection, if you believe that your matter will be contested, it is advisable to consult with an attorney prior to hearing or trial. An order of protection is just one tool available to victims of domestic violence and is certainly not an absolute guarantee of safety. If you are a victim of domestic violence it is critical that you use all tools available to you including assistance from your local law enforcement agency to protect you. For further explanation of assistance that is available to you or a loved one through our Missouri court system please feel free to contact our office today for a free consultation.